homestitchness: A Free Gift :: THANK YOU! A Free Gift :: THANK YOU! 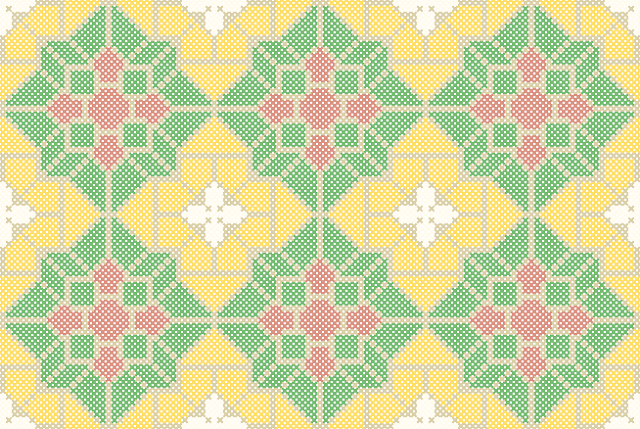 I first released this pattern two years ago (to the day, even!) and have just spent some time updating the chart. Lately, I have been thinking about what an amazing journey this little creative venture I call home♥stitch♥ness has been! Although there have been challenges along the way, I have already met several goals I set for 2015 and since I have so many more people following along now than I did when I first published this chart, I want to release it for a second time in case some of you would like to stitch it. Today I am here to simply say THANKS to each and every one of you who have shown an interest in what I'm doing and supported me. It means so much to me that you are here and the following pattern is completely FREE if you'd like to stitch it. Below you can read about the story behind the design and I invite you to share the chart on social media as much as you wish! The threads I stitched the model with are true to the original colours, but you are more than welcome to change them to match your decor. If you do stitch it, I'd love to see it all finished! Thanks again and I hope you will enjoy this little project! My husband is Belgian by name and by ancestry, so I like to say that "I am Belgian by marriage" :o) Both grandparents on his father's side came to America when they were young, then met and married over here. Several years ago, we had the privilege of visiting Belgium and staying with a cousin and her family. We fell in love with the country and the experience made me rather proud of my inherited Belgian heritage. During our time in Belgium, we were taken to the site of my husband's grandmother's family home where she lived before moving to America. Sadly, the house had not long been demolished for the purpose of new development and all that remained was a pile of rubble. However, out of the ruins, his cousin had salvaged a number of broken pieces of patterned 'tile' as you can see in the photo below, which I believe originally decorated the kitchen. 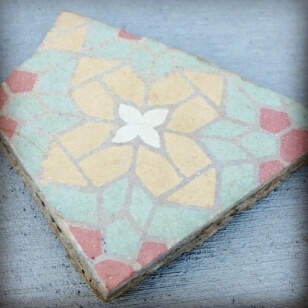 We were given this piece of tile along with a photograph of the cottage to take home with us and the tile has been an ornament in our garden ever since. It is starting to look a little weathered and worn, now, and since I have always liked the pattern, I have been wanting to stitch up a replica to 'preserve' the design and create another keepsake. I finally got around to charting the pattern a few weeks ago and funnily enough, I realised the colours in the tile are exactly the same colours we used to decorate our daughter's bedroom when she was a baby - I had never noticed before! It will be a nice little piece of family history to hang on her wall. 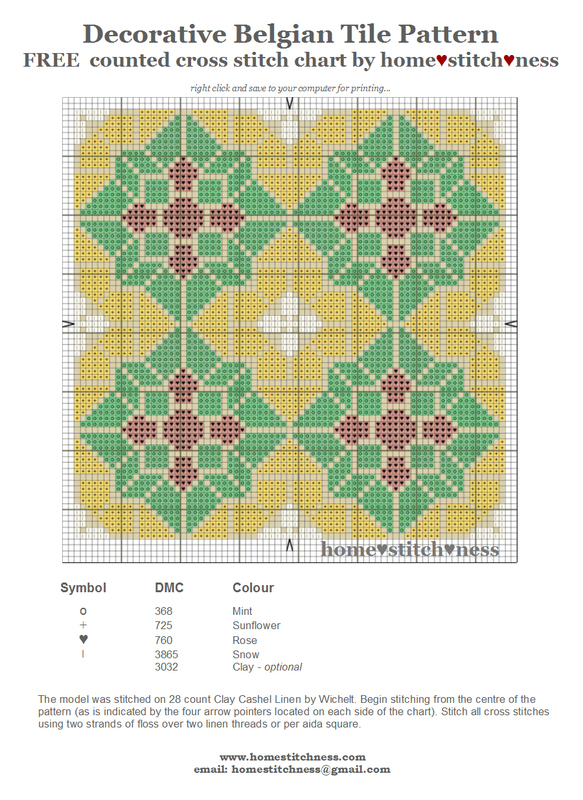 It is a repeating pattern, so you can stitch as much or as little of it as you wish. I chose to work on Wichelt's 28 count Clay linen as the colouring of it is very similar to the clay coloured background of the actual tile. It has saved me a LOT of work not having to stitch in between the decorative motifs, but I have suggested a comparable thread colour for stitching in the 'gaps' if you wish. For my project, I wanted to stay true to the original colours of the tile, but there would be so many other gorgeous combinations you could try - for a bolder look I think Navy, Red, Mustard and Cream would look amazing! Obviously, the design is not my own, I have simply charted it so I can recreate the pattern with needle and thread. 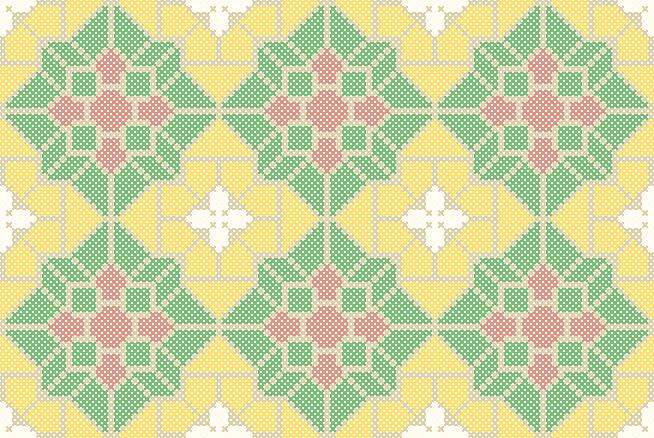 You are most welcome to use the pattern for your own project and share it with your friends :o) I would love to see what you make with it!